Mad Max is back with Fury Road! Its back folks. The Mad Max franchise is on its way to Comic-Con on July 26. It has been revealed that Australian actor Hugh Keays-Byrne will reprise the role of prime villain Toecutter. 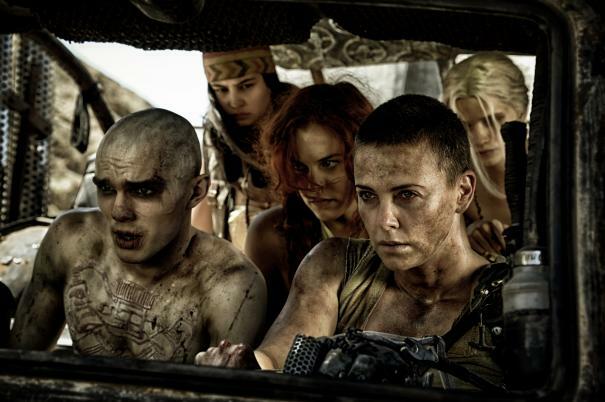 Also along for the ride are Tom Hardy and Charlize Theron. Both the original and new adaptation has been directed by George Miller. Miller confessed that the movie will feature very little CGI (thank god) with most of the shots capturing natural executed stunts (now were talking). The seven month shoot took place in the hot outback of Australia, Tom Hardy confirmed that the shoot was “mental in a brilliant way” as the desert was completely dead and parched which proved to be both taxing and rewarding on the actors. The shoot took 116 days and features very little dialogue, sounds interesting? Max Max: Fury Road will hit theatres on May 15th, 2015! This entry was posted on Wednesday, July 23rd, 2014 at 1:24 am	and posted in Uncategorized. You can follow any responses to this entry through the RSS 2.0 feed. « The Outback Can Be Crazy This Time of Year!